Stansted Airport bus transfers to and from central London with our service from Baker Street. 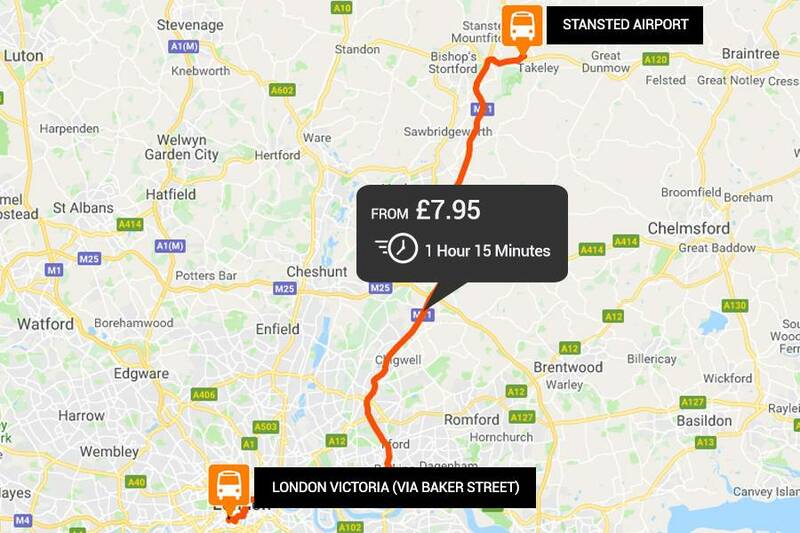 The service takes between 75 and 130 minutes and runs from Baker Street every 30 minutes. The stop (ABE) can be found from bus stop 19. Please check your ticket for pick-up and drop-off points as well as further information. Please Note: The Stansted Airport to Baker Street route is operated by Airport Bus Express.